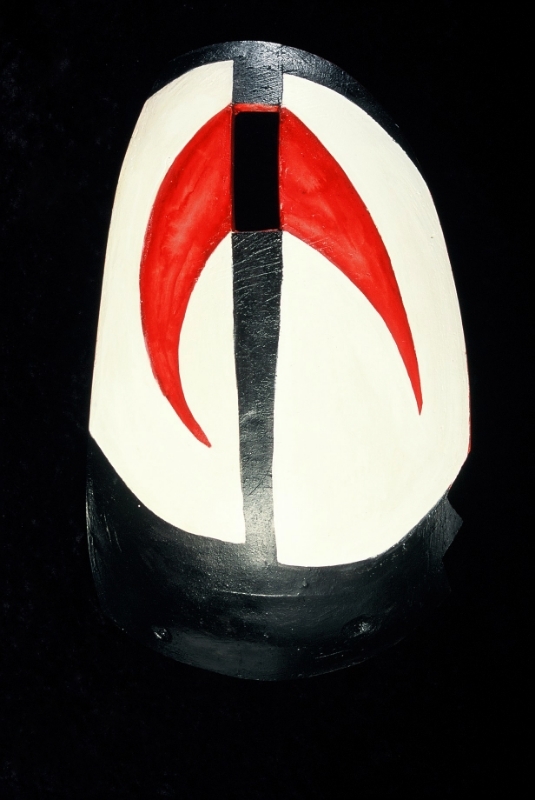 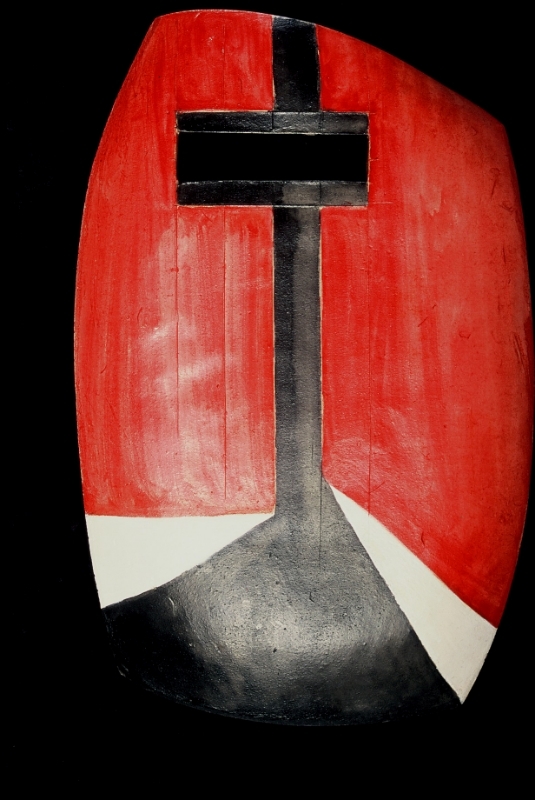 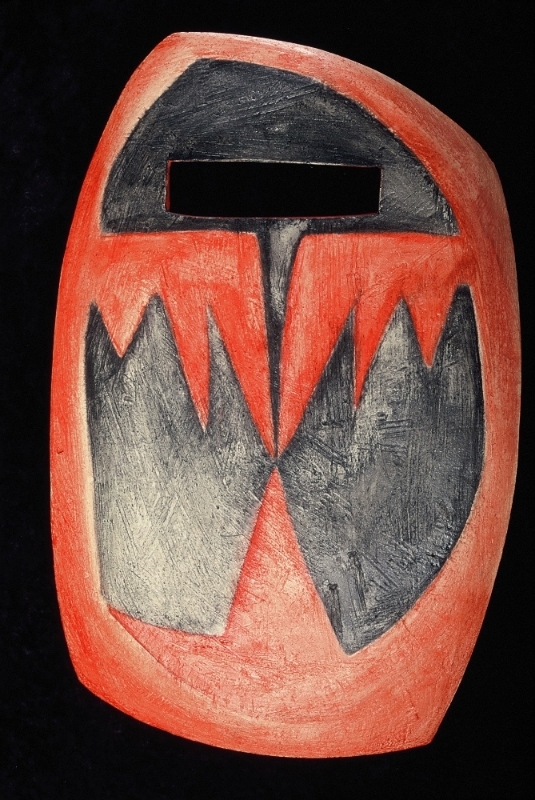 Installation of shields, a contemporary investigation into the symmetrical language of clan designs and totems on the body and shields of north Buka. 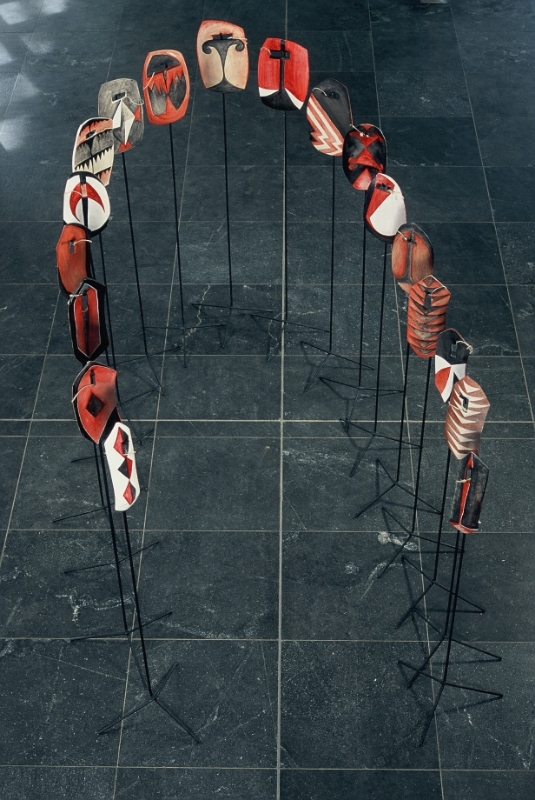 Stoneware, acrylic, steel, 2003-06. 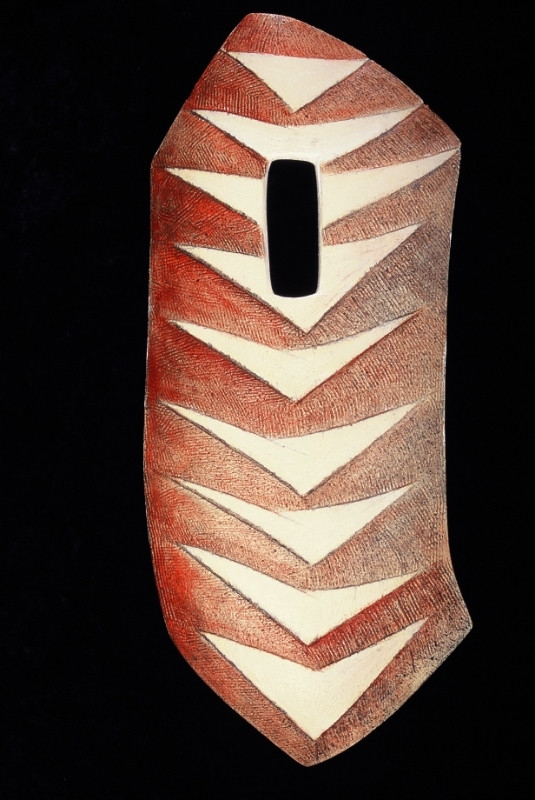 Acquisitive Award, Research School of Pacific and Asian Studies, ANU Collection, 2004.